Childhood memories of days out to the beach will involve without a doubt wet towels covered in sand, sunburnt ears that you can peel in three days, sticks of rock, ice cream cones and SAND CASTLES! Well late November may not offer many opportunities for WinterStorm rockers to top up their tan but there will be plenty of rock and ice cream supporting the music and we have decided that we should be helping with the sand castles so we are delighted to be helping support the Troon Community Council in their Sand Castle Competition on the beach on Saturday 24th June at 2pm. 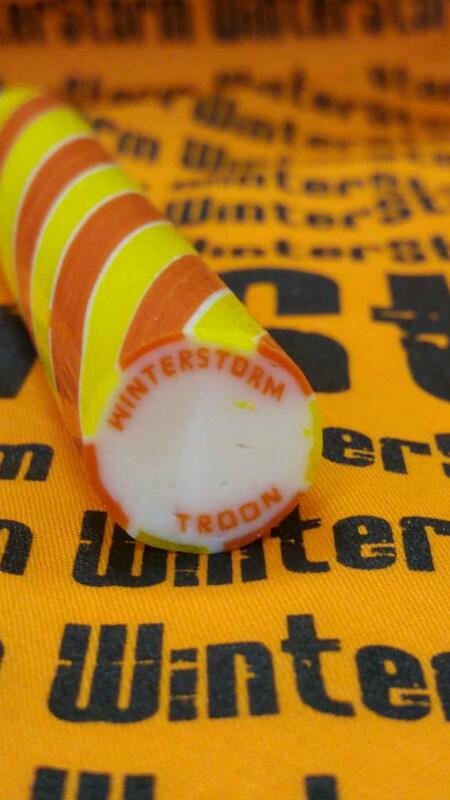 We will be providing a selection of our WinterStorm Rock and rock Sweets for the kids and the winners will receive one of our Beach Bandanas too! "The unique thing about WinterStorm is that it is a Rock Weekend by the sea and the location makes it so different from just another gig in another city so we are delighted to get involved with the community council in events such as this that help promote both the event and the destination of Troon as well as having a bit of fun building our own wee castle too!" The sand castle event is being held as part of the bigger Troon Gala Day which is taking place on Saturday 24th of June on the grassy embankment adjacent to the beach promenade. The gala Queen and Princess will be led to the event by Troon’s award winning BB pipe band and the Citizen of the Year, Sheila Cameron, will crown the gala Queen and Princess at 1pm to open the gala day which will run until 4pm. A number of stalls, from local businesses and charities will offer goods, bric a brac, raffles and tombolas, and the sand castle competition which will be held at the beach nearby. The WinterStorm team will be attending and every child taking part in the sand castle competition will receive a WinterStorm stick of rock so get your bucket and spade looked out for a fun day at the beach. As always with outdoor events on the west coast of Scotland, the Sand Castle competition is subject to the vagaries of the weather! We hope the WinterStorms will hold off til November! For more information on the day ad other local activities visit the Community Council website.